As technology continues to evolve and businesses rely on data security, we felt the need to invest in becoming SOC 2 Type II certified. This certification further establishes our commitment to internal controls and excellence. 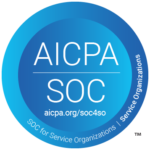 GreenBean IT’s SOC 2 report verifies the existence of internal controls which have been designed and implemented to meet the requirements for the security principles set forth in the AICPA’s Trust Services Principles and Criteria for Security. The report provides a thorough review of how GreenBean IT’s internal controls affect the security, availability, and processing integrity of the systems it uses, and the confidentiality and privacy of the information processed by these systems. This independent validation of security controls is crucial for customers in highly regulated industries. What controls does your IT provider have in place surrounding your data?